Buzzkill tells the story of Ruben, a superhero. Strong, enhanced senses, nigh-invulnerable, he has only one weakness: the source of his powers. Ruben derives his power from alcohol and drugs; the more, the better. But after a drag-out, city-destroying battle, he begins to realize he has a problem. After the destruction his addiction has cause, to the world and to his own personal life, Ruben is ready to get clean. Danny Cates is a comic book writer, whose other works include The Paybacks, Star Trek Waypoint and the upcomin God Country. Mark Reznicek is the drummer for the band, The Toadies. 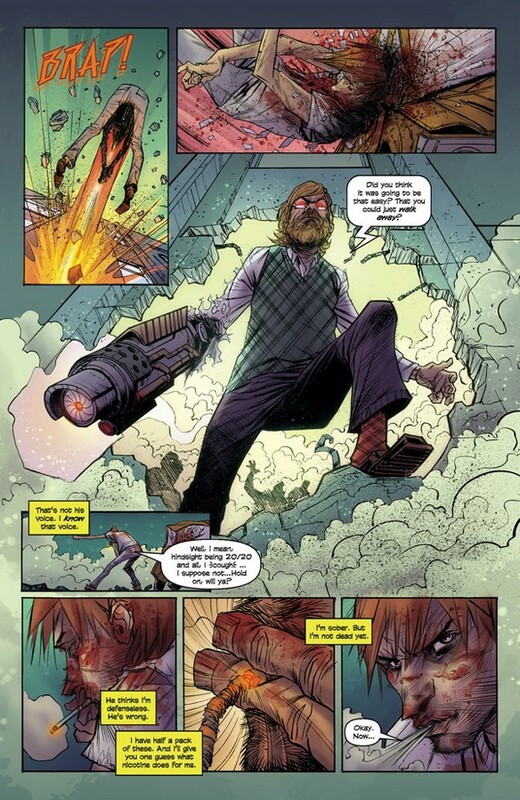 Geoff Shaw is a comic artist who has worked on the Paybacks and the upcoming God Country. Being a superhero is never quite what you expect. First you get a cape, maybe from a second hand store, and a mask to protect your secret identity, but where do you find a supervillain? It’s not like they’re growing on trees! In fact, being a superhero is a lot of work, and a lot more mundane than you’ve ever realized. 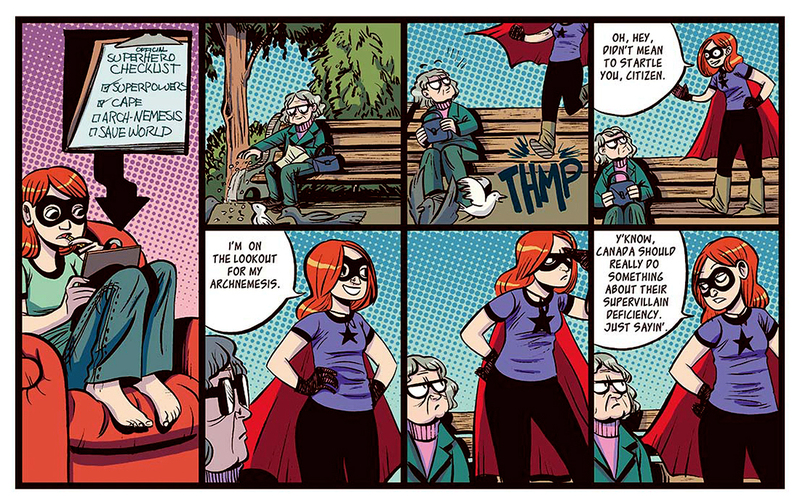 For something on the lighter side of the superhero fare check out The Adventures of Superhero Girl by Faith Erin Hicks. Faith Erin Hicks is a Canadian writer and artist. She worked in the animation industry for several years before transitioning into writing and drawing comics full time in 2008. Her current project is The Nameless City, a three book series with First Second Books. Faith is coming to the library! Join us on Wednesday April 20 at 7:00pm for An Evening with Faith Erin Hicks. Click here to register for this free program. Alone at the end of the world, Aria is a woman on a mission. As she travels through an overgrown city with a cat named Jelly Beans, Aria searches for an ancient relic with immeasurable power. But Aria is not as alone as she first thought, and a tribe of savages may be the key for Aria to complete her mission. 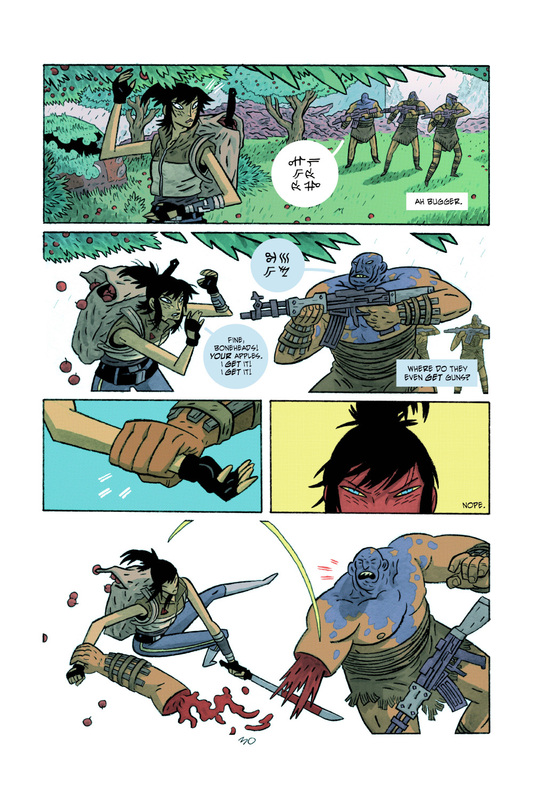 This is the world of ApocalyptiGirl by Andrew MacLean. Andrew MacLean is an illustrator and comics artist from Salem, Massachusetts. 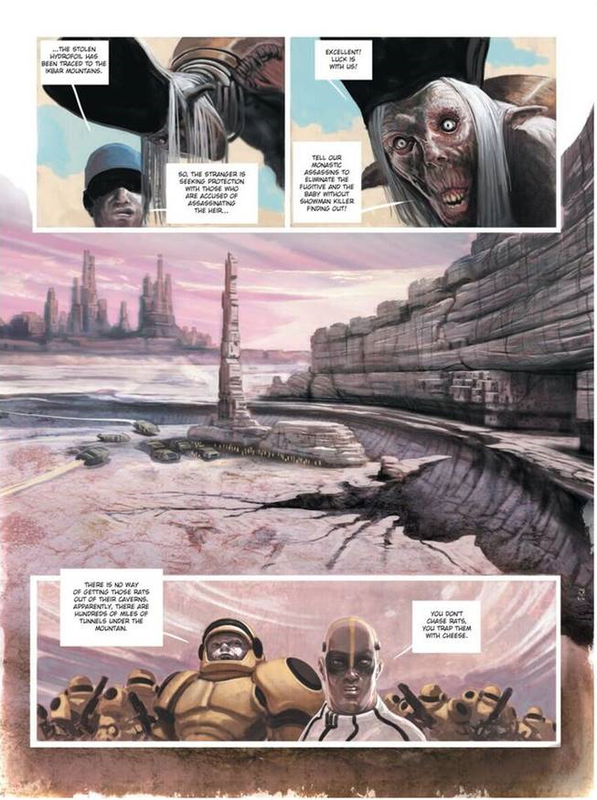 MacLean’s biggest claim to fame has been the self-published Head Lopper. The world of Pluto is full of robots, and it has become harder and harder to tell some of them apart from humans. Could the human mind ever recreate itself in an artificial body? Starting with the murder investigation of Mont Blanc, one of the seven greatest robots on Earth, the story weaves its way through many lives and tries to answer the question: What makes something human? 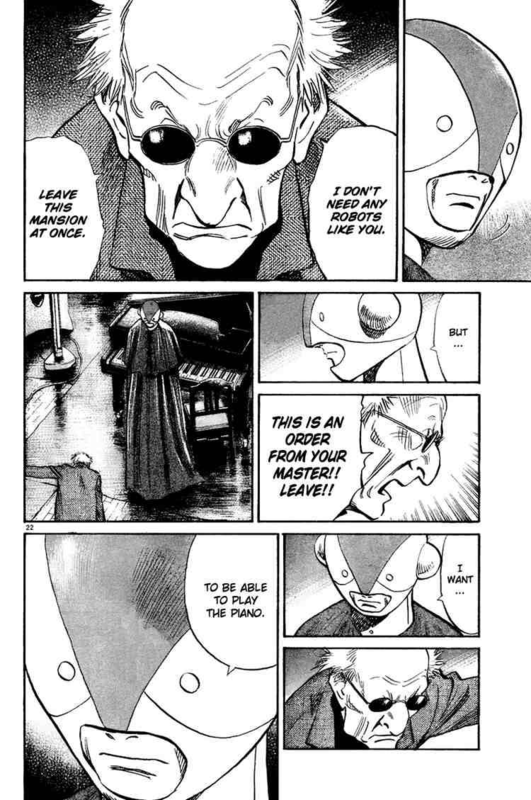 Naoki Urasawa is a Japanese manga artist. He has been called one of the artists that changed the history of manga, and has received the Shogakukan Manga Award three times, the Tezuka Osamu Cultural Prize twice, and the Kodansha Manga Award once.